Eat Your City: Bond's Fish and Chips Seafood Restaurant, Courtenay BC - Tasty fish and chips off the beaten path and the locales fav! Bond's Fish and Chips Seafood Restaurant, Courtenay BC - Tasty fish and chips off the beaten path and the locales fav! 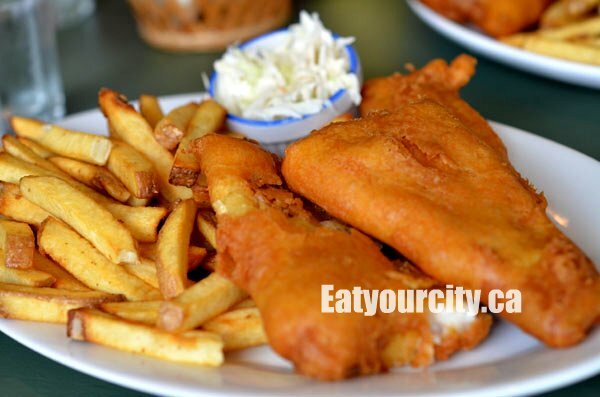 Continuing on our Vancouver jaunt, we stopped by Bond's Fish and Chips - a fish and chips place a bit off of the beaten path, and definitely the locales favorite. They've been making freshly battered fish and chips for over 21 years. With nautical themed decor and wooden trestle tables, it had a welcoming family restaurant feel, and we were excited to try a little.. okay, a big plate of history along with their fried oysters. 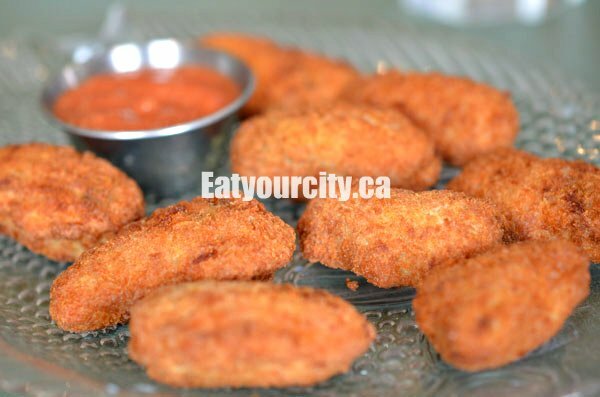 The cod fillets was coated in a thin and flaky crisp batter. The cod fillets was fresh, juicy, moist and fried to a perfect melt in your mouth NOM! The fish pieces were huge and dominated the plate... they certainly want to ensure you fill up on their tasty grub. It also came with a side of crispy on the outside, moshy on the inside fries and an average run of the mill coleslaw. 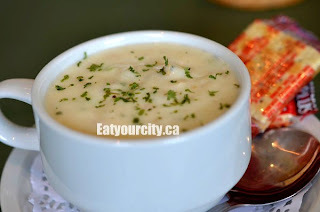 While this chowder looked and smelled great, it was unfortunately thickened a touch too much, resulting in a stick to your ribs, almost gluey texture. It was hearty and packed with lots of canned clams, a generous amount of cream cream, cream and more cream, and dotted throughout with cubes of potatoes. This poutine was a pile of fries topped with aged cheddar, mozza and brown gravy. 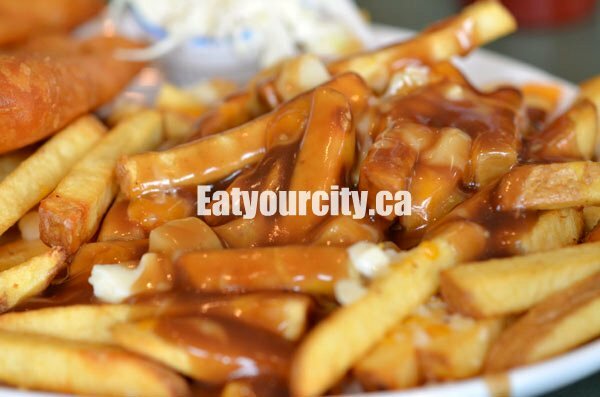 Tastewise, it was ok - if the quality of cheese was a bit higher - use curds of cheese instead of just a small amount of small cheese chunks... and if they used more than 3 small chunks of cheese, this poutine would have been pretty tasty. You can count the number of cheese chunks we got in the pic lol! These deep fried oysters... were awesome. Despite a very thick and crispy batter that required a bit of muscle to stab a fork through, the oysters within are so moist and juicy... nommy nom nom! Raise the roof and dunk it in a tasty homemade sauce. We had to order another plate as these little babies pulled a vanishing act Houdini would have been proud of.. into our tummies! Overall, this little hidden gem for fish and chips in this sleepy town should not be passed up if you're in the area. Its earned its right to have a special spot in the hearts of the locales. After all, oyster's are a food of love!